Home / Militaria, collectibles, insignia, buttons etc. / Tampere Air Defense Battery, Finnish army, shoulder insignia. Tampere Air Defense Battery, Finnish army, shoulder insignia. Originals, sold as pairs. Some minor variations in color may occur. Lynx faces front on shoulders. 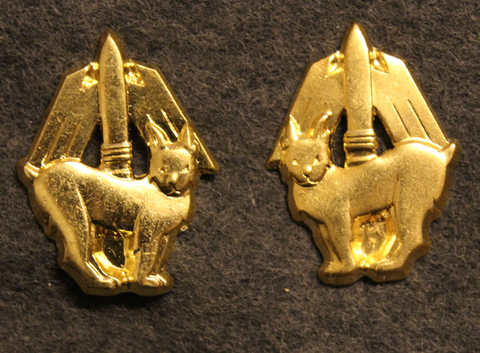 Collar tabs, air defence. Finland. Finnish Air Force beret badge.